Music materials, song collections, are included in your class. If you already have this collection, (first read * below) please either gift them to a friend or please consider donating your materials. As a Music Together® licensee, we are not allowed to waive materials as MTLLC includes them in the program. If you already have the current set from three years ago (*see below) and don't feel you need a new one, please consider asking your teacher to mark your set "Donated". We will see to it that it is donated to a PMT Scholarship recipient, Children's Hospital or other helpful program for children. What a wonderful thing to spread the Music Together music curriculum to others that can benefit so much from it! Currently we are donating them to Samaritan House in San Mateo where children and families can really enjoy them. Alternatively, if this is a sibling's first time with this collection it might be nice for them to have their own brand new book that they can look at and color in and make their own, and their own CD that they can keep in their room and is just for them. And starting with the Fiddle collection in 2018, the books have been completely redeaigned too! * Having two sets is also fun for play dates with friends, or can be given as a birthday or shower gift. We support this idea--- as long as your older set of materials (including the songbook!) is pulled out and used just as often as you would if it were new. *News about our song collection books! Our new family songbook series has been revised! Each song in the collection is brought to life through colorful and engaging illustrations by award-winning artist Jaime Kim. 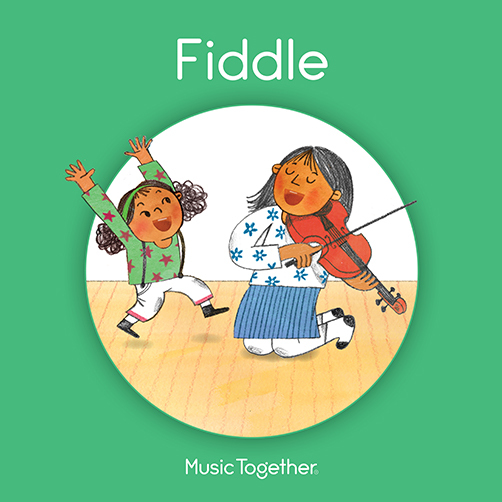 The new book will inspire your family to play with music all week long. You'll find it helpful to learn the lyrics, as a jumping-off point for creative storytelling, and to learn more about the songs you're singing in class. Your child may enjoy snuggling with you and singing through the whole book at once—or opening to a page to tell you what song they want to sing! Copyright 2005 Peninsula Music Together. All rights reserved.